While we lost, details are recorded below as a public record of our campaign. Loss of public green space, which Bromley council state they greatly value for peoples’ healthy lifestyles and well-being. This space was within a Conservation Area. Use of this space for development was contrary to statements in the Bromley Town Area Action Plan (AAP) which was approved by the full council, after a long public consultation. This supported a small café on the Terrace area only. Additional restaurant development here will compete adversely with the revitalisation of the nearby Bromley North Village. Many are struggling for business. Yet more restaurants are due to be opened in the Old Town Hall development in Widmore Road. Many saw no need for yet more food outlets here. This has set a precedent for future development in some other parks in the borough (LBB: “provision of parks is not a statutory duty for the council”). Already people had to, successfully, oppose plans for a school building on Havelock Recreation Ground. Sadly, after more than two years of campaigning the Intu management won their appeal against L.B. 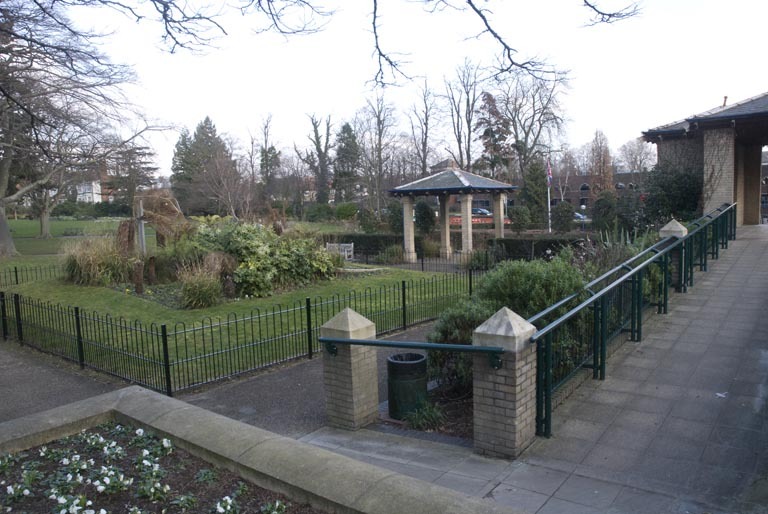 Bromley rejection of their planning applications to build five restaurants on part of Queen’s Garden. There were many formal objections against the planning application and a petition against signed by over a thousand people, both from nearby and also across the borough. This planning application was rejected by the council. Despite much evidence at the enquiry in early May supporting the rejection; from the council, our Friends group along with Bromley Civic Society, and many members of the local public; the government appointed Planning Inspector has overturned the democratic decision by our local councilors. The council’s only witness at the Inquiry was their former Chief Planner who had previously recommended approval of both planning applications. This inevitably came up during proceedings and greatly weakened their case. To protect this area we also submitted an application for the threatened area to be designated as a Town Green under the Commons Act 2006. A public hearing was held in May 2013, at which we were opposed by the combined high powered legal teams of both the developer and Bromley council! The independently appointed inspector has accepted all but one of our arguments. We only failed on the 20 year period, and that by only 6 months. This was the unfortunate result of us having to submit our application as early as possible. Despite our last minute pleas not to the council sold this land and, after some delays, building work took place Aril 2015-July 2016, and the restaurants were opened for business. 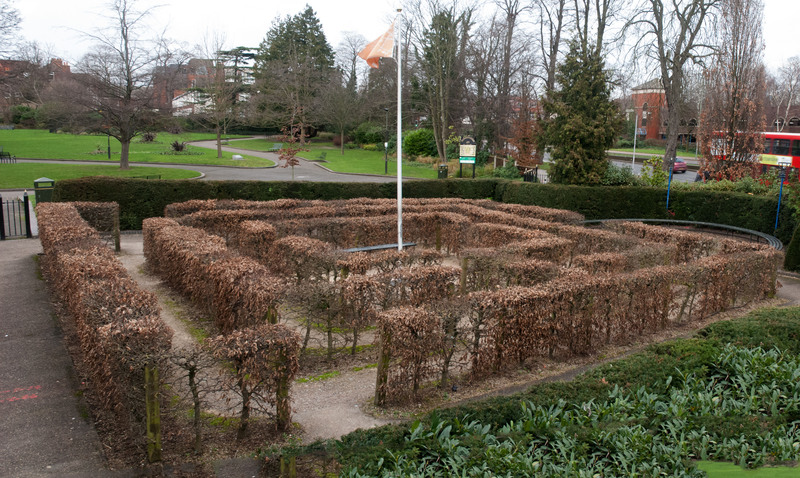 To find out more about the history and delights of this garden please go to our Queens Garden page. To provide construction access to the site we also lost the well established Maze which was not part of the planning application. We were told that the public will get this part of the site back in some form. As at August 2016 we are discussing with Bromley council possible options for this site.